Joy Kakenya Barta participated in the recent World Food Programme‘s (WFP) Day of Dialogue on March 15th in Nairobi to celebrate International Women’s Day. The theme of this year’s celebration was “Time is Now: Rural and Urban Activists Transforming Women’s Lives.” The event included talks, presentations, and panels that looked at this question: how can we work together to more effectively achieve gender parity in decision-making processes linked to food security and nutrition? Joy traveled from her campus in Nakuru, about four hours by road from Nairobi, to participate. The Day of Dialogue started with a presentation from the WFP on implementing gender-transformative approaches to food security. 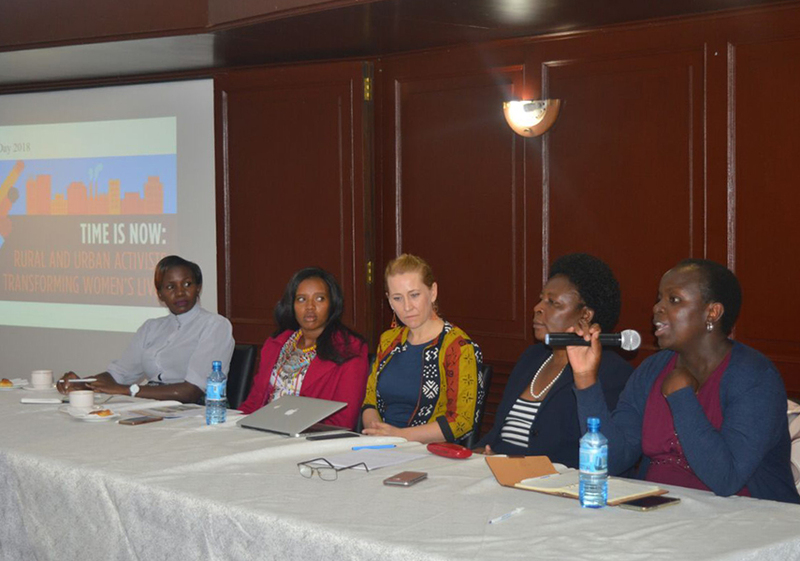 Then, there was a panel that addressed gender transformative leadership at a county level. People came from various counties to give their perspectives. Joy was the youth representative on her panel, which addressed building bridges through women’s leadership to support gender equality. 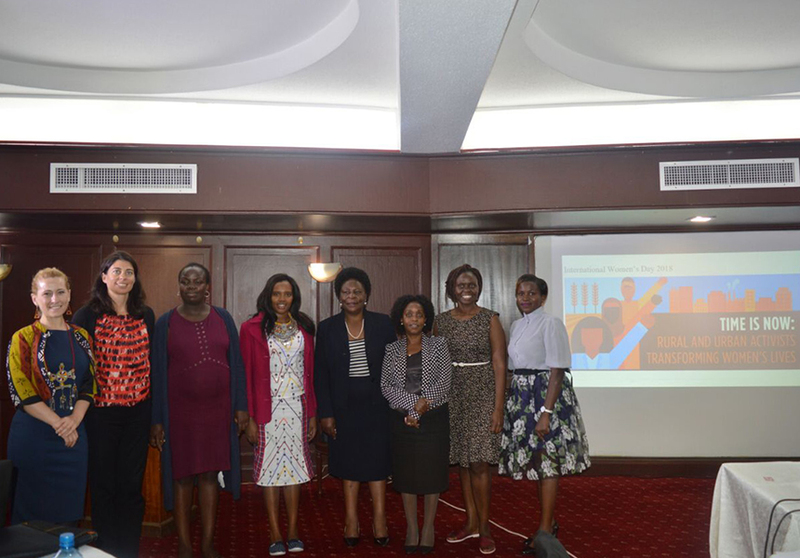 The panelists presented on key actions they and their respective organizations have implemented to empower women in their sectors to take on leadership roles in Kenya. 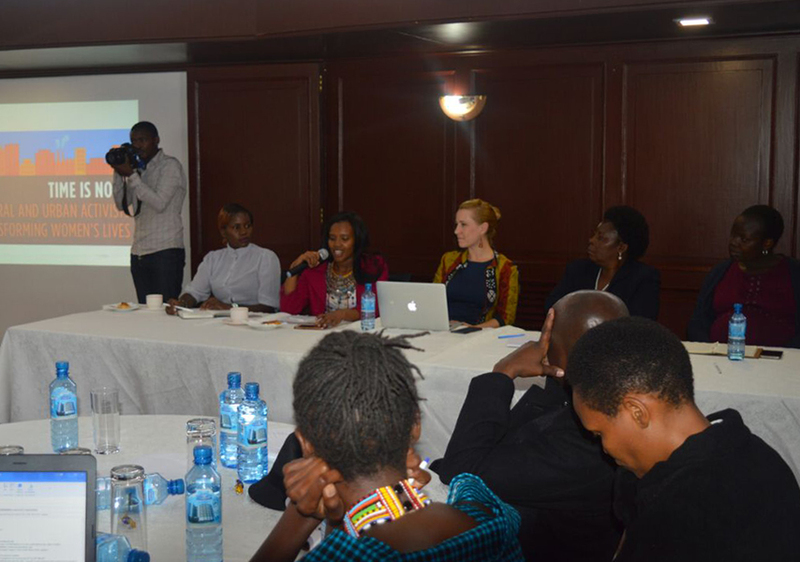 The panelists also explored how their work promotes women in decision making processes and leadership positions in Kenya, and how this can complement food security and nutrition interventions, by WFP, county leaders, and others. Please see photos below. Joy is in the red jacket, accompanied by other presenters.